Precious Ramotswe is haunted by a repeated dream: a vision of a tall, strange man who waits for her beneath an acacia tree. Odd as this is, she's far too busy to worry about it. The best apprentice at Tlokweng Road Speedy Motors is in trouble with the law and stuck with the worst lawyer in Gaborone. Grace Makutsi and Phuti Radiphuti are building the house of their dreams, but their builder is not completely on the up and up. And, most shockingly, Mma Potokwane, defender of Botswana's weak and downtrodden, has been dismissed from her post as matron at the orphan farm. Can the No. 1 Ladies' Detective Agency help restore the beloved matron to her rightful position? As wealthy and powerful influences at the orphan farm become allied against their friend, help arrives from an unexpected visitor: the tall stranger from Mma Ramotswe's dreams, who turns out to be none other than the estimable Clovis Andersen, author of the No. 1 Ladies' prized manual, The Principles of Private Detection. 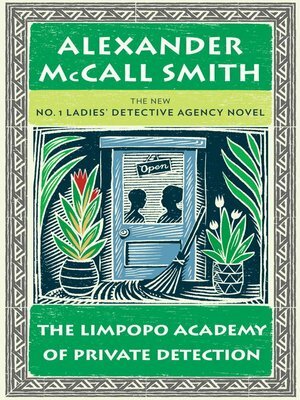 Together, Mma Ramotswe, Mma Makutsi, and their teacher-turned-colleague help right this injustice and in the process discover something new about being a good detective. BONUS MATERIAL: This ebook edition includes an excerpt from Alexander McCall Smith's The Minor Adjustment Beauty Salon.